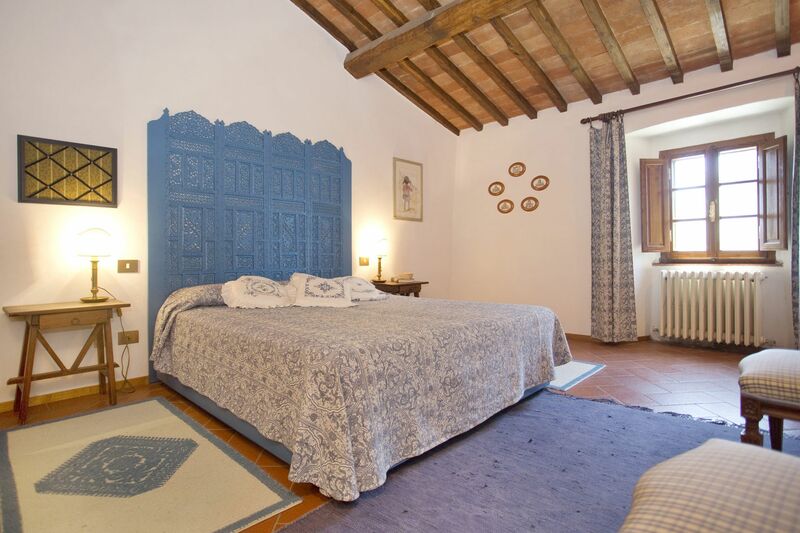 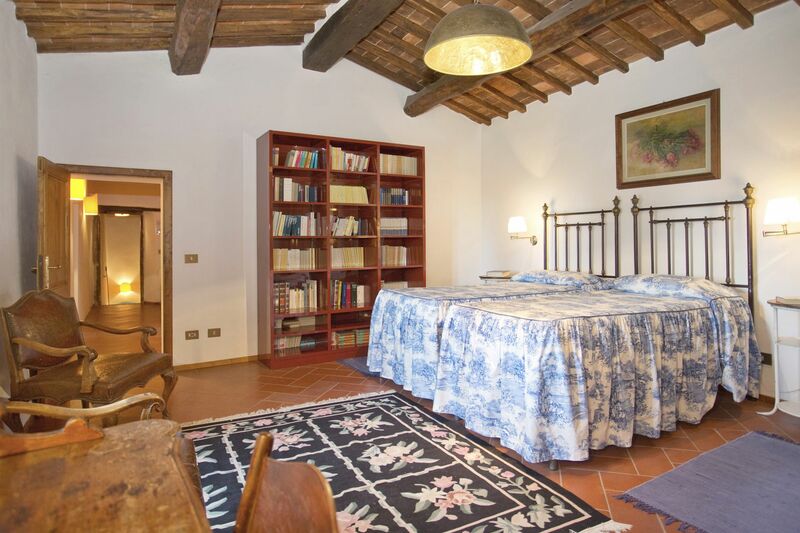 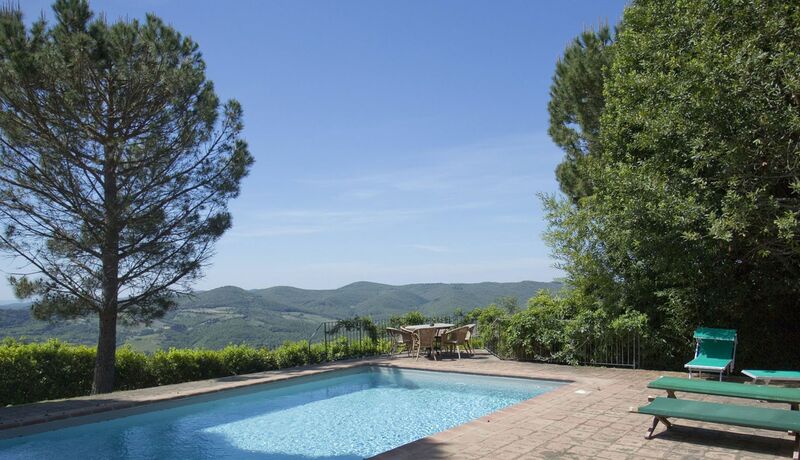 This villa with private pool, located at the border of the Volpaia hamlet, is ideal for those looking for a unique Tuscan experience as they will have the opportunity to flavor a century long history of the village with all the modern comforts . 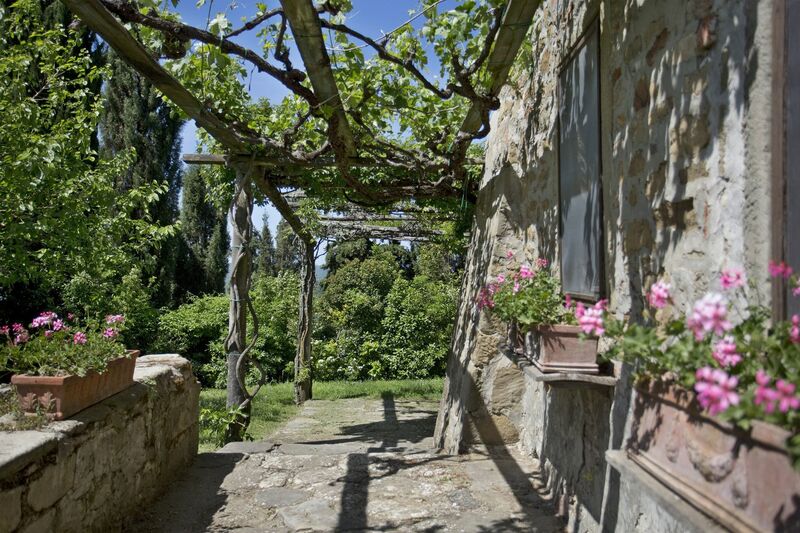 At the hamlet, just a 300 meter walk from the house, guests can enjoy a gourmet meal at the Osteria acclaimed by many gourmet guides or the local cuisine at a more simple restaurant. 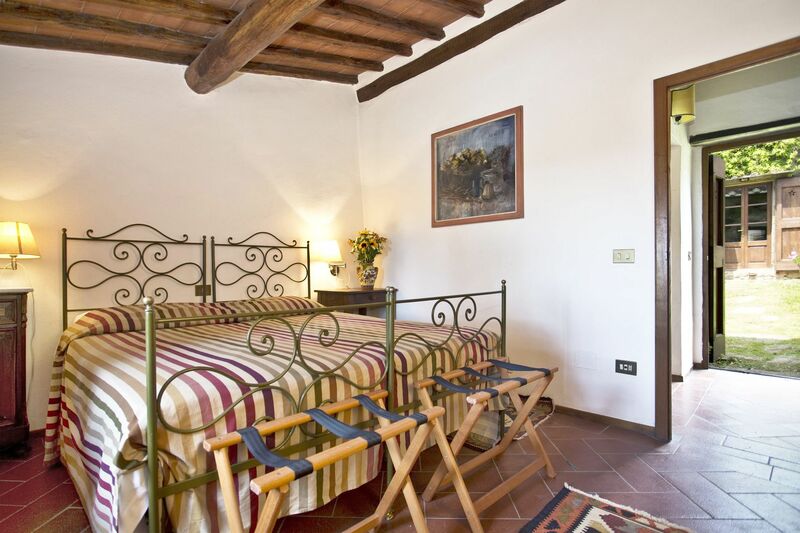 Furthermore, guests can also take half-day cooking classes, buy bread at the local bakery or taste the outstanding wine. 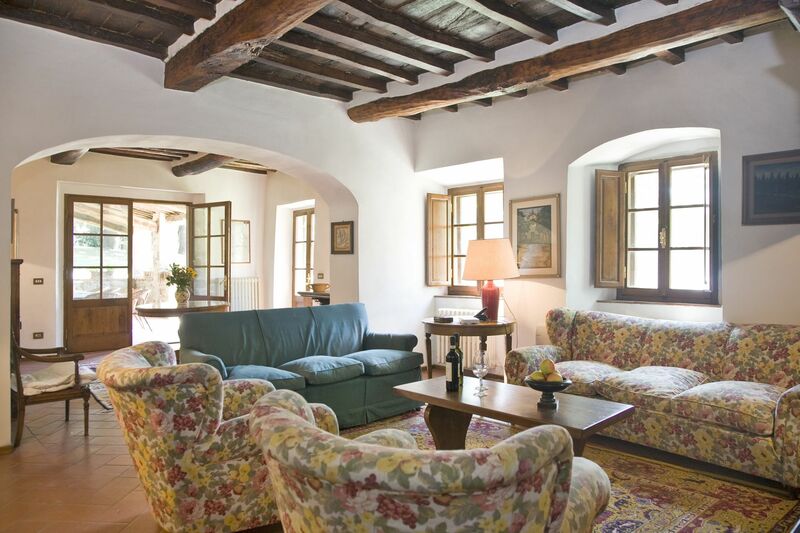 Guests of La Pozza di Volpaia can arrange a complementary wine tour. 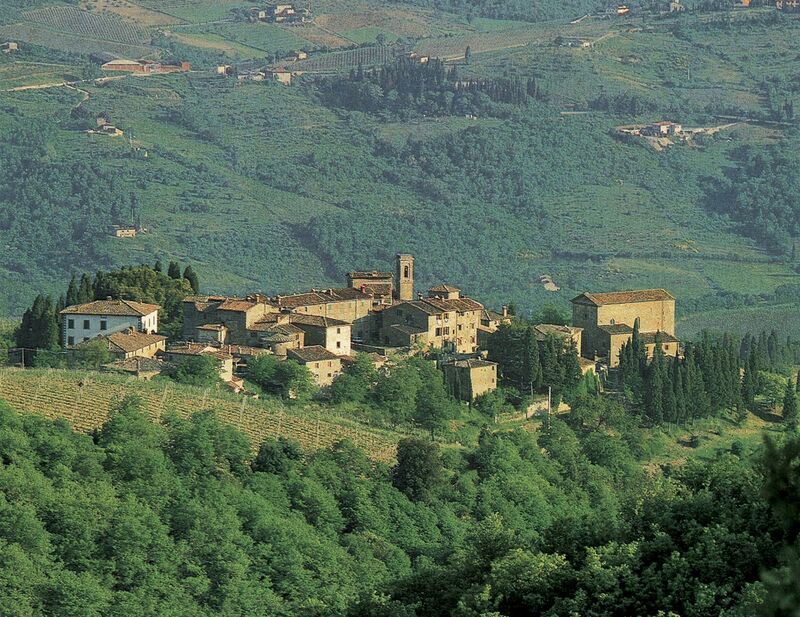 The Castello di Volpaia part is a superb wine estate producing renowned Chianti Classico Wines. 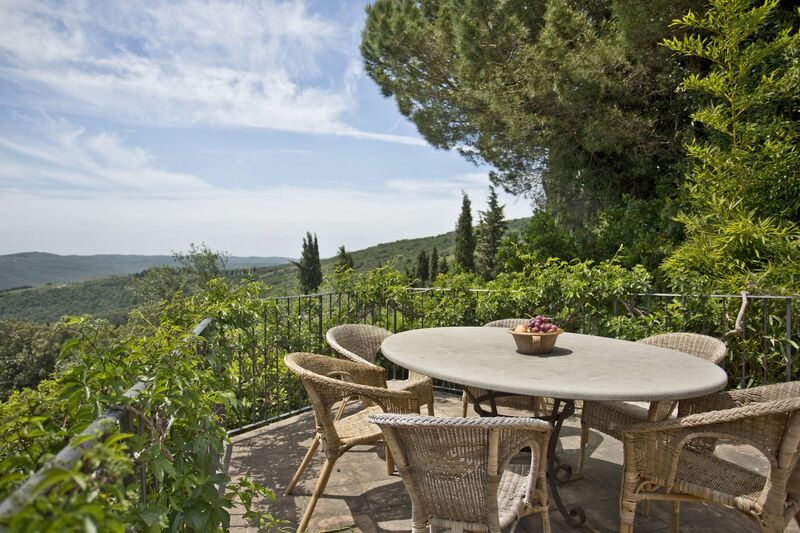 In year 2018, its Chianti Classico of Year 2015 has been ranked by Wine Spectator the third best wine of the world! 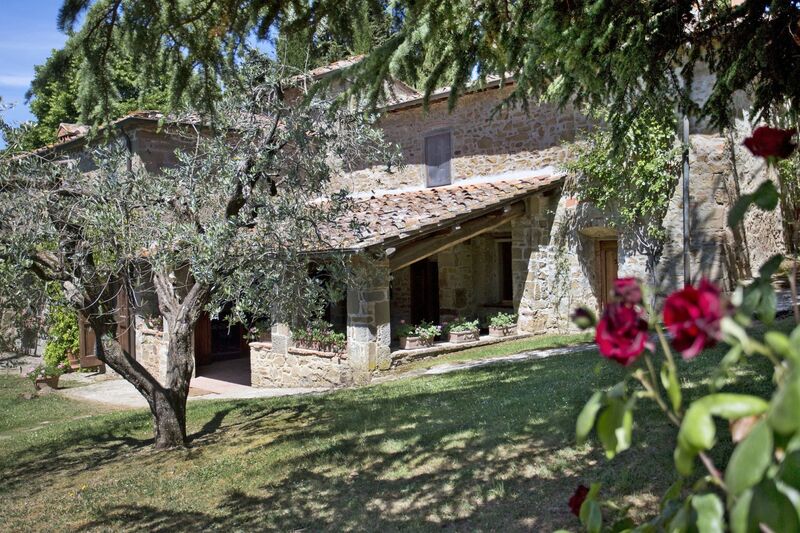 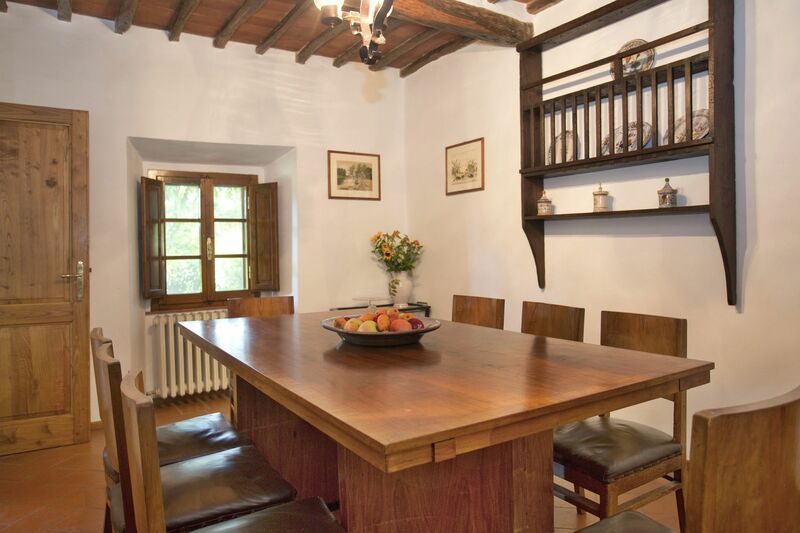 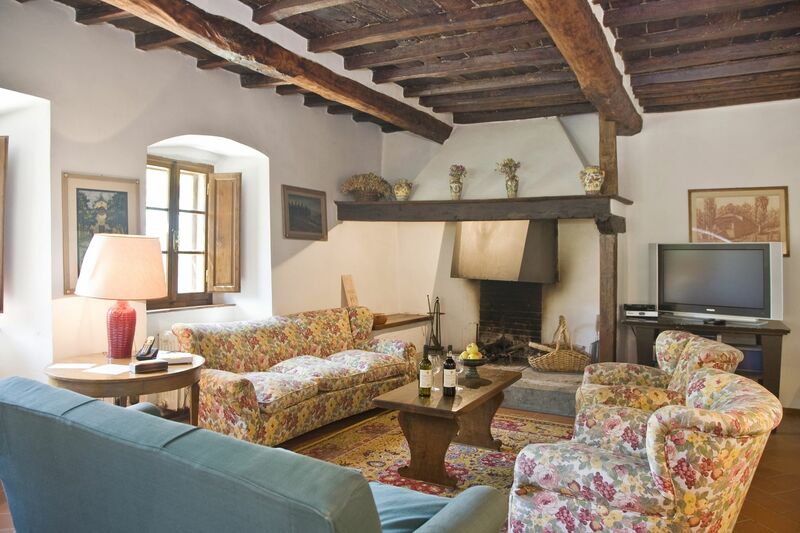 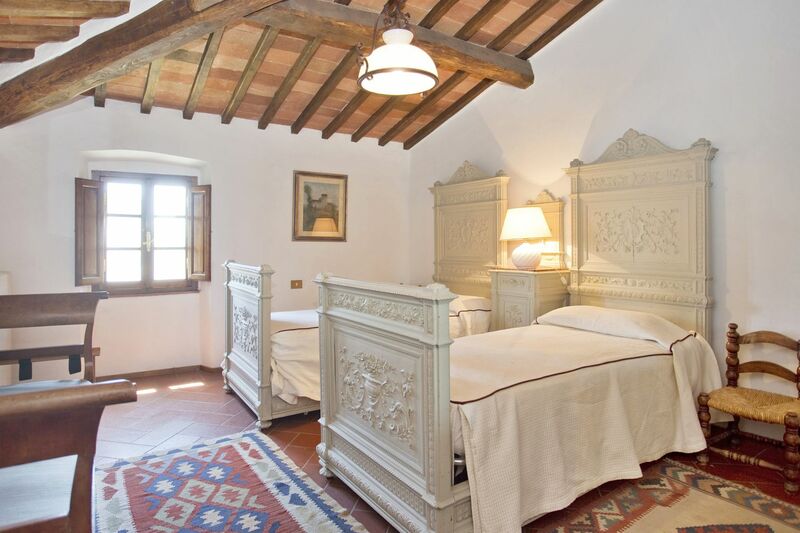 Even if extremely close to the hamlet, this stone villa is located in a secluded and private position of the estate. 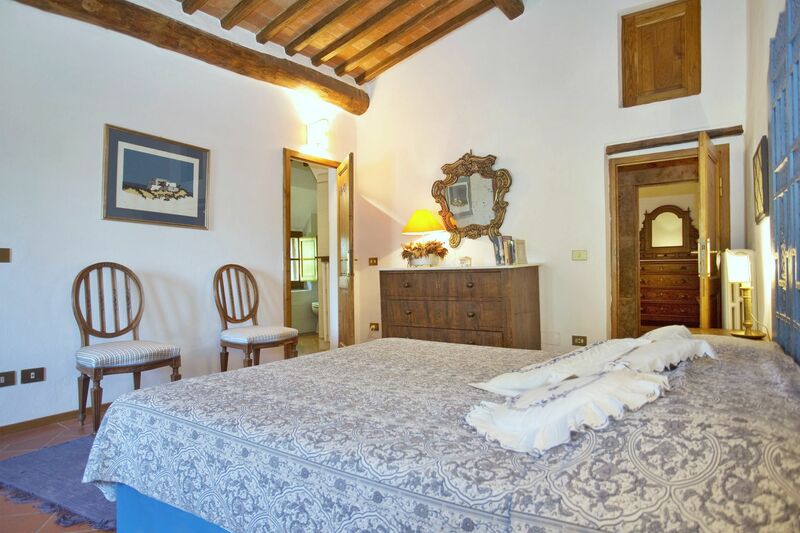 Guests holidaying at La Pozza di Volpaia will have therefore the possibility leave their car and totally relax during their vacation. 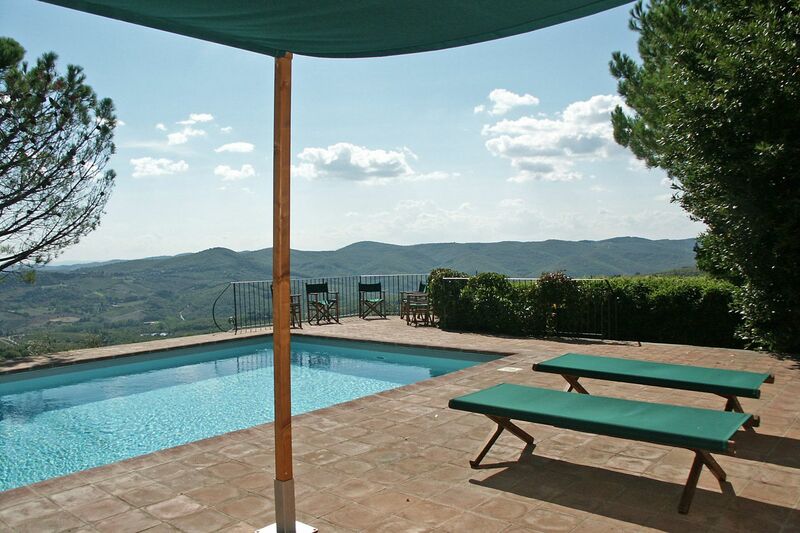 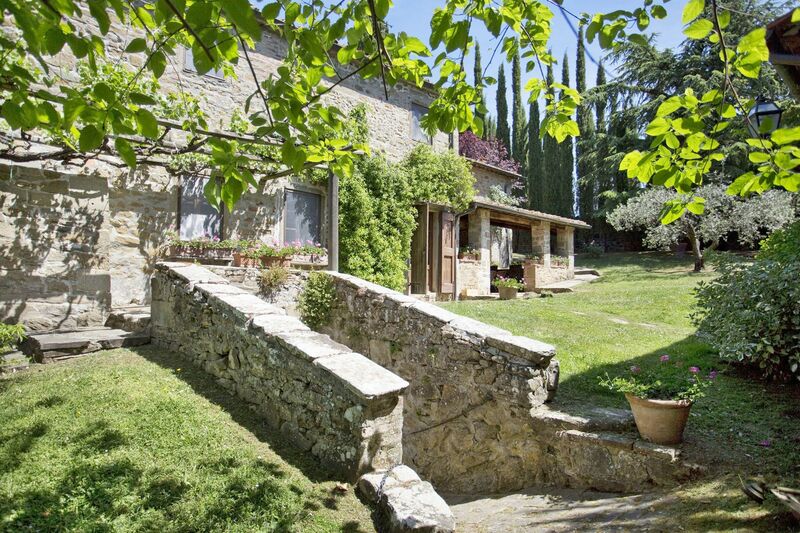 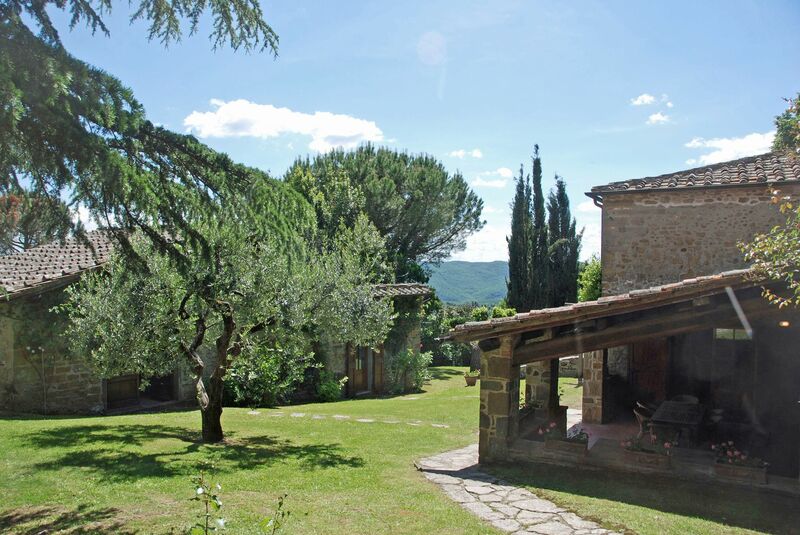 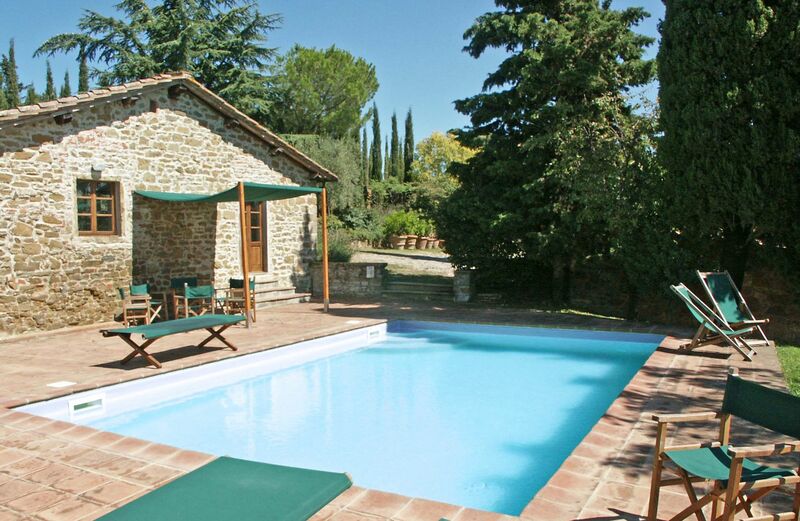 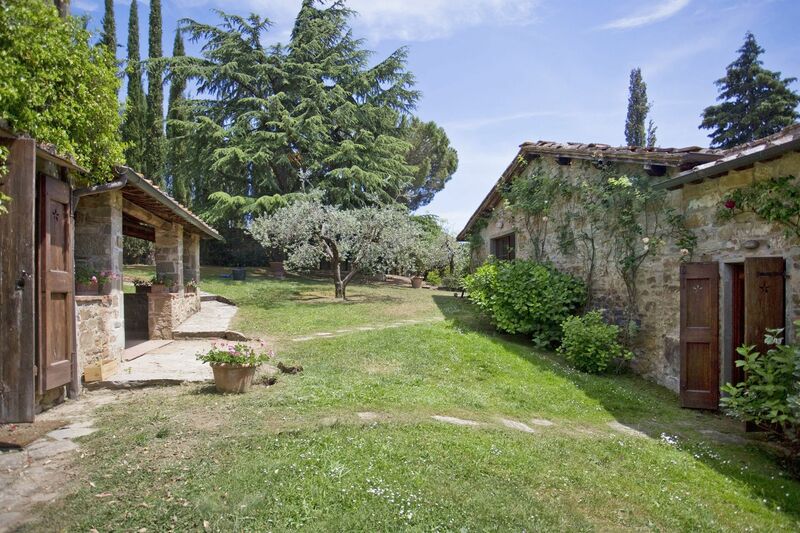 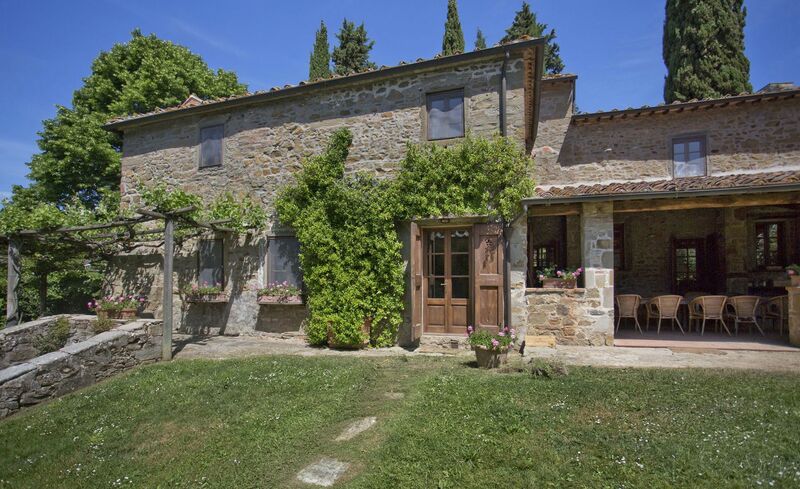 Beautiful views on the Tuscan countryside can be enjoyed at this farmhouse, especially from the swimming pool. 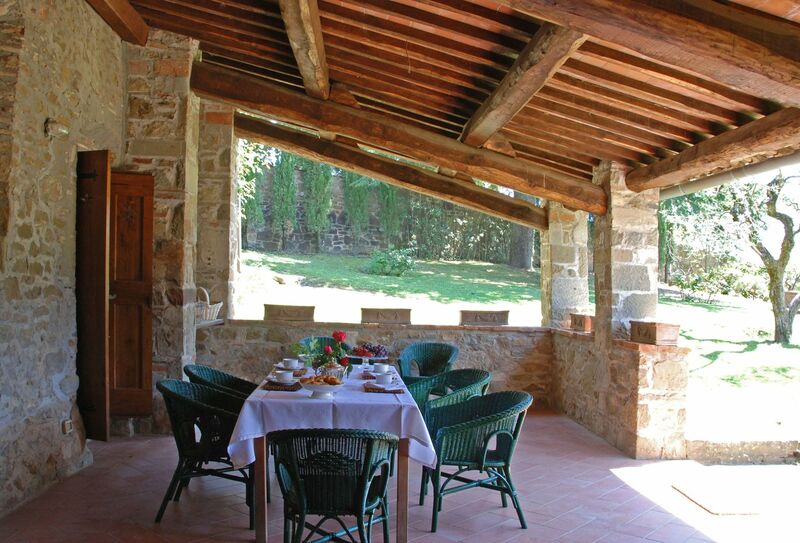 Past clients have particularly enjoyed dining under the shaded pergola in the garden. 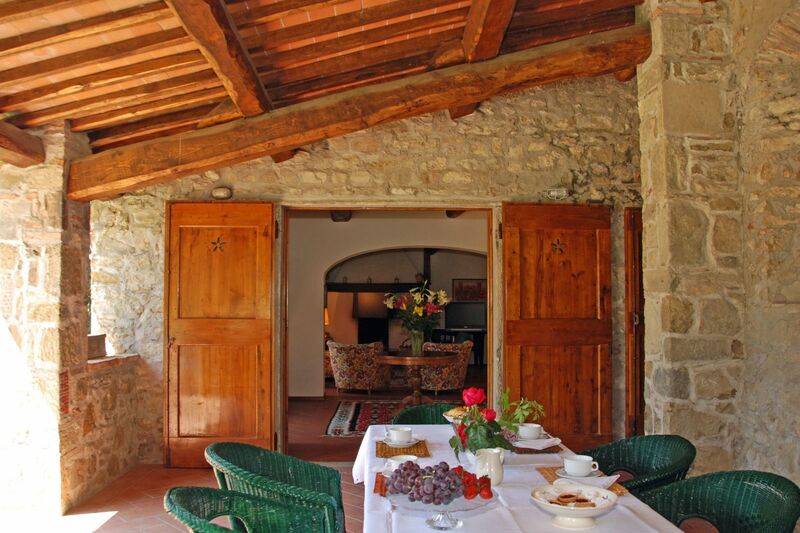 Cooking service at the villa can be organized, both for lunch and dinner, for those who would like to have a unique culinary experience. 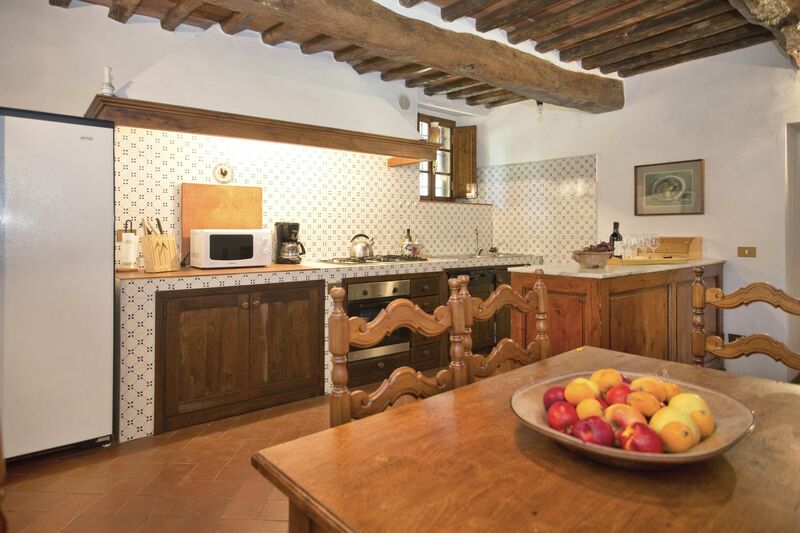 The interiors have been very tastefully restored, using traditional materials, combined with modern comforts, including satellite TV, as well as well equipped a kitchen. 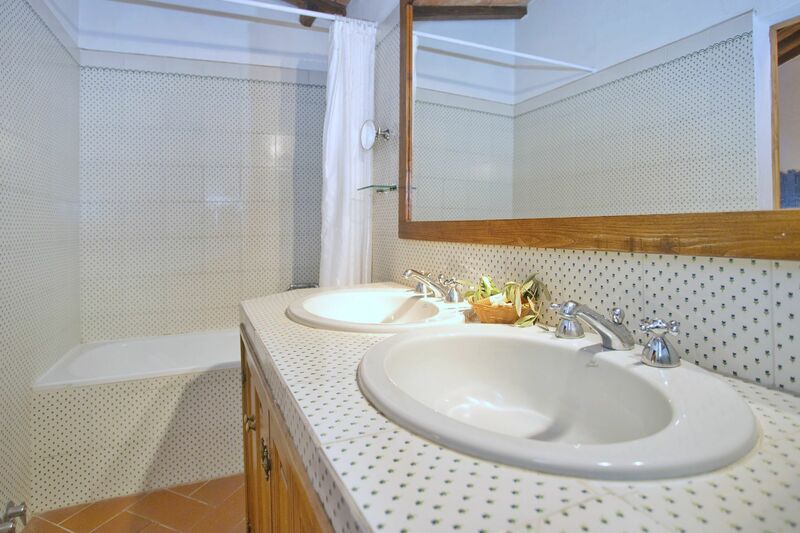 Four of the six bedrooms of the house have their own en-suite bathroom. 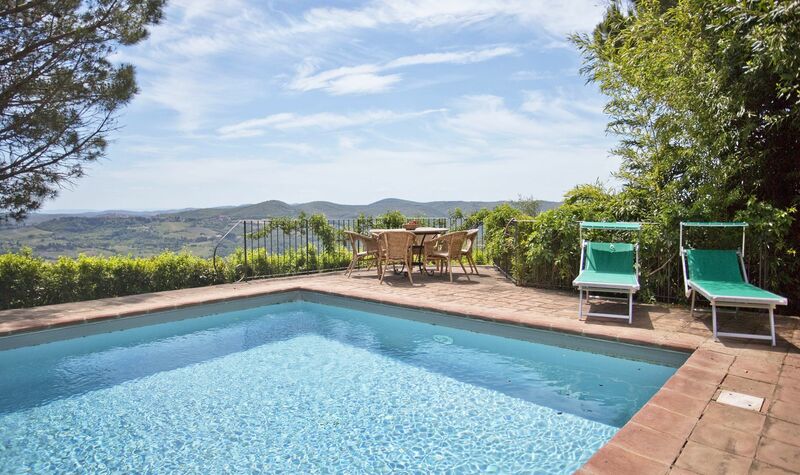 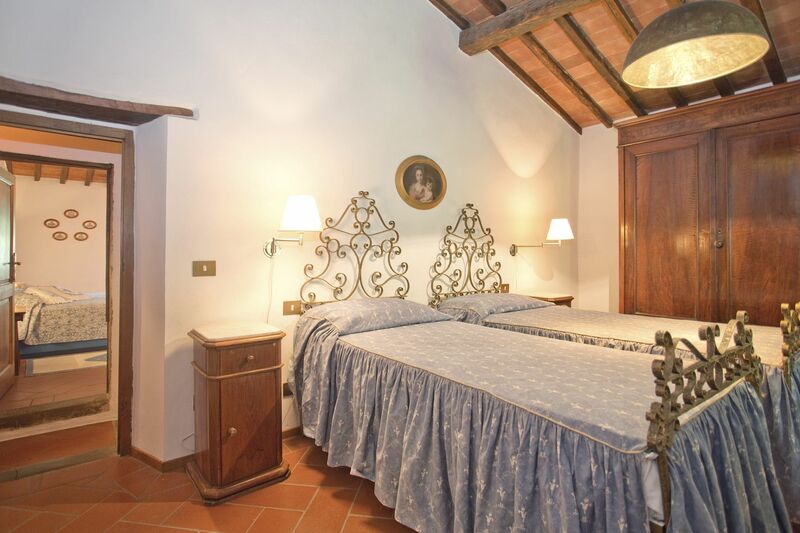 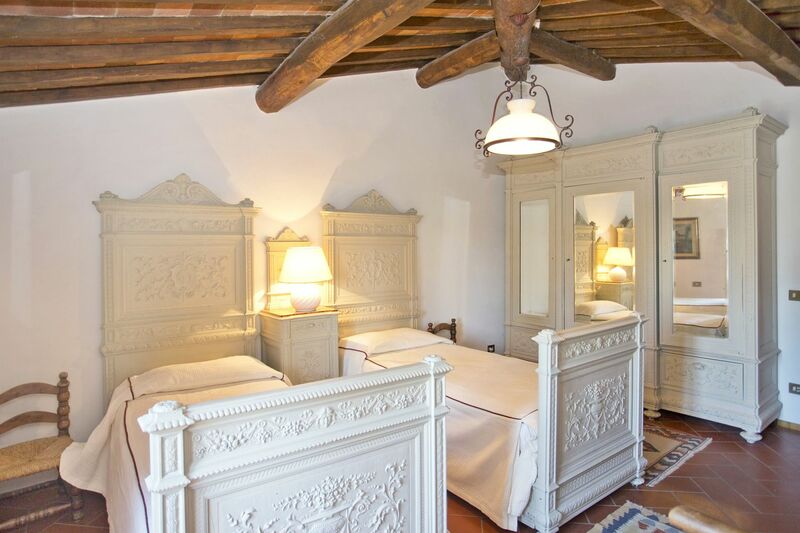 Even if when staying at La Pozza di Volpaia you will have most of you need at an extremely easy reach as the position of the villa is also ideal for sightseeing Tuscany. 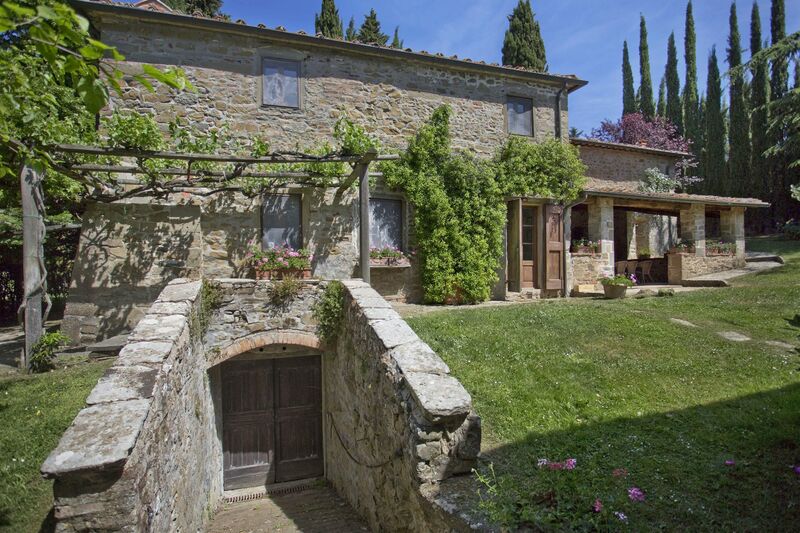 Florence, San Gemignano, Siena, Arezzo and all the famous villages in Chianti are all at a short drive away from Pozza di Volpaia. 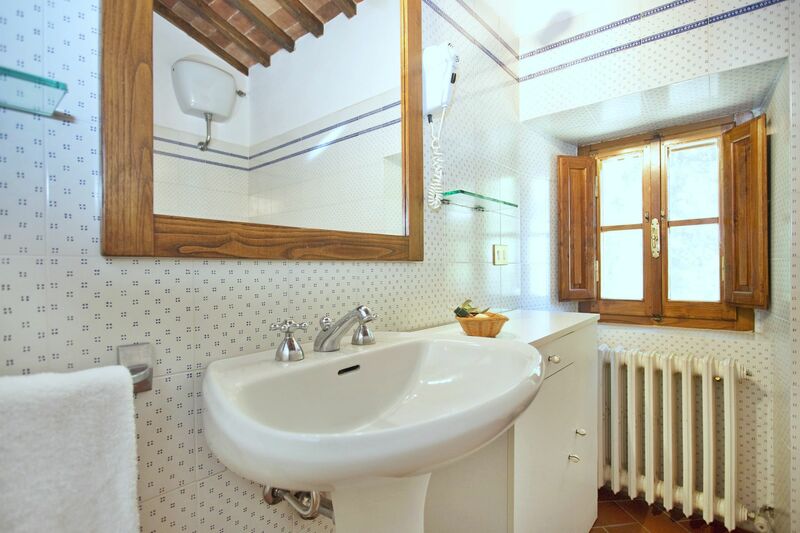 Cleaning service is included 4 hours a day 5 days a week. 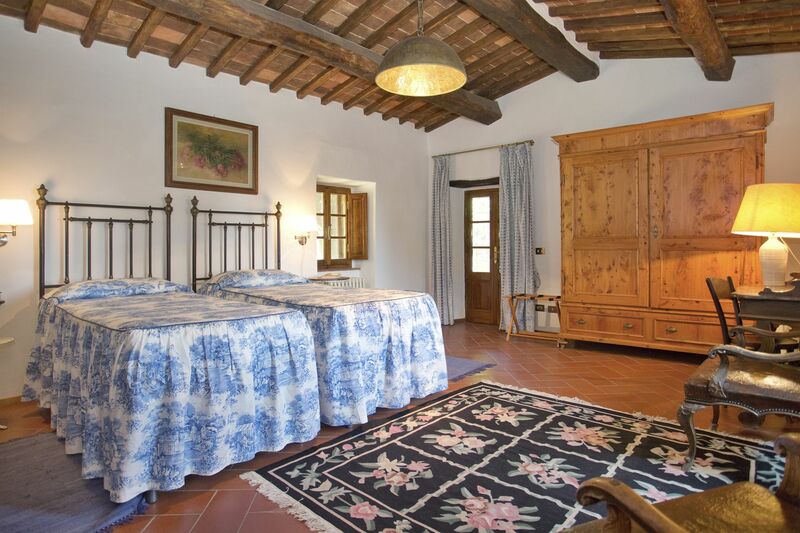 9m x 5m. 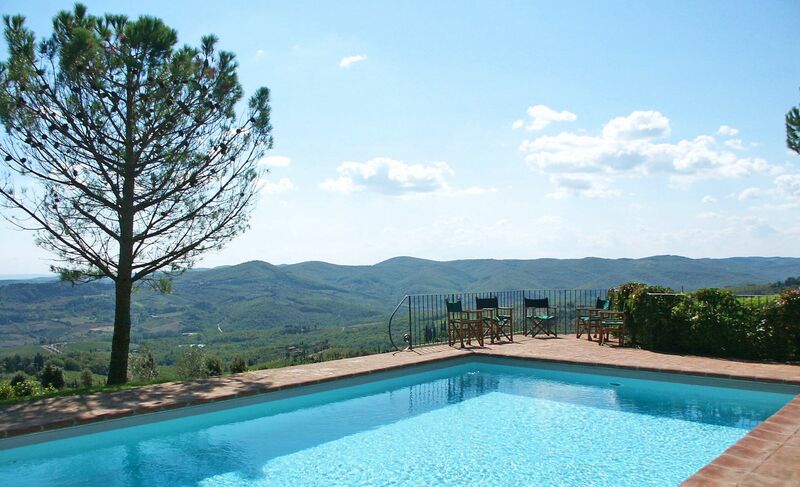 Fenced Pool. 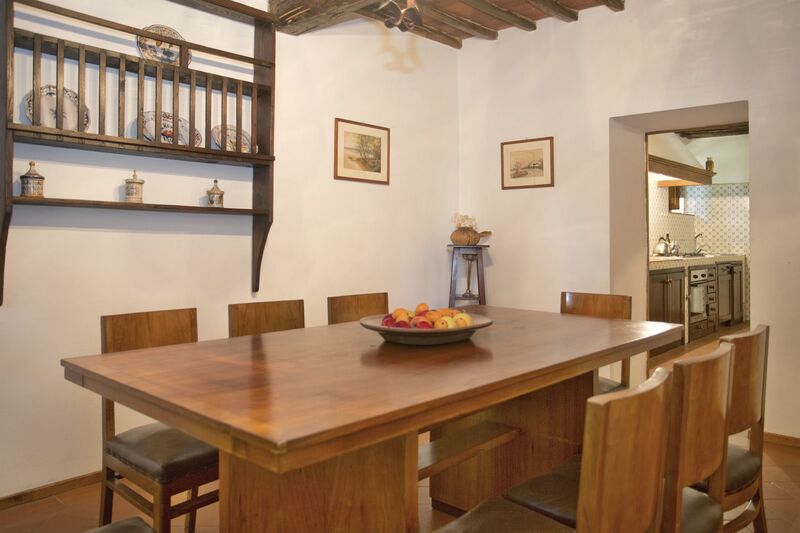 Entrance; sitting room with fireplace opening onto the garden and big covered patio with table and chairs for outdoor meals; dining room; kitchen also opening onto the patio; single bedroom; bathroom (shower). 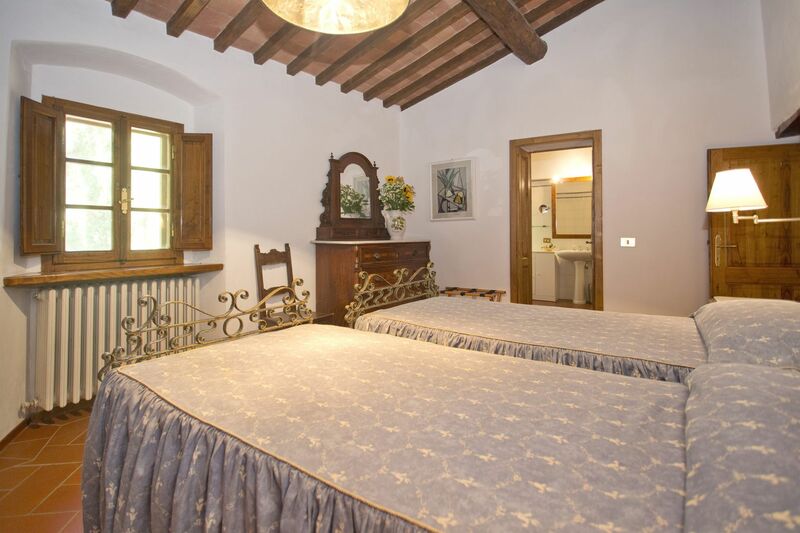 Master bedroom with bathroom en-suite (bathtub); twin bedroom with bathroom en-suite (bath and separate shower); twin bedroom; big twin bedroom with door opening to the garden; bathroom (bath and separate shower). 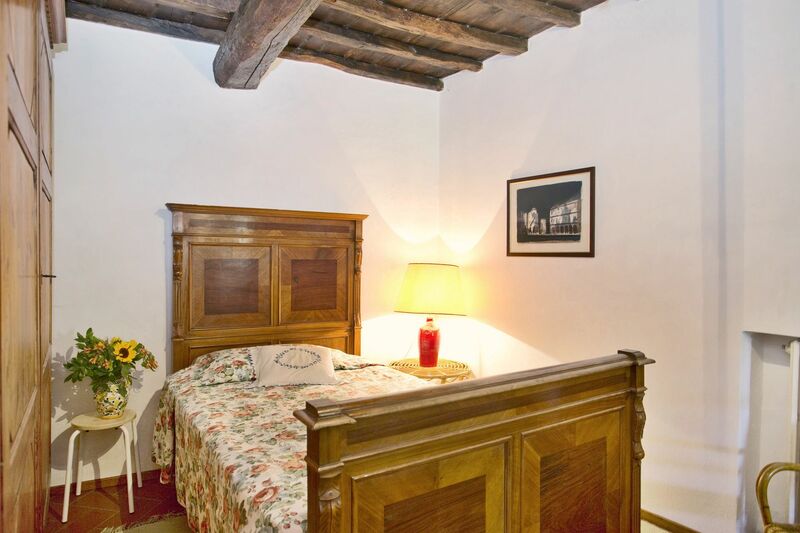 Double bedroom with bathroom en-suite (bathtub).